Hello there – I have a question that I hope you can help me with. I am 38 years old and I have recently lost my second parent to cancer – and I am going through a time where I guess you could say I am re-evaluating my belief system. I was raised in the Presbyterian Church and currently attend __________ here in Houston. What I struggle with is occasional doubts lately and I find it really scary. I believe in God without question but I have trouble sometimes comprehending the resurrection and life after death……I want to believe and have a stronger faith that’s for sure!! The thing that bothers me is someone told me that doubts were blasphemy and that by having doubts you are calling God a liar and that I might not have ever truly been saved. Needless to say that has petrified me, however others have mentioned that doubts are normal…… I went through confirmation with the Presbyterian Church when I was 12 and hope that I am saved. I would really appreciate your thoughts on this!!!! You honor me by sharing your heart with me. Thank you. Let me cast my vote with those who have assured you that doubts are normal. God understands that as puny-minded humans who are trying to relate to a God we cannot see, touch, or hear, we’re going to face areas we don’t understand! Often, what we experience is confusion, but some people label it doubt. I think doubt is more in-your-face unbelief. “I know You’re there, God, but I question Your goodness to me so I’m going to do things my own way and pretend like You’re not there.” The way that Satan encouraged Eve to doubt God’s goodness in the garden of Eden. Since you have internet access, you can get some very interesting information about the resurrection and life after death that will help strengthen and establish your faith in those areas. 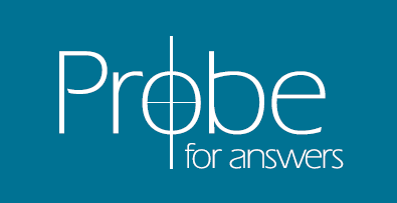 You can start reading at the Probe Ministries site (www.probe.org) and look in the “Apologetics: Reasons to Believe” section. Leadership University (Leaderu.com) also has some dynamite articles. Truly saved people have doubts all the time. That’s the first step to wrestling with individual issues of faith, and studying them to come out with a stronger faith on the other end. God isn’t threatened by our doubts and questions. When we go to Him in simple faith, asking Him to help us understand truth and help us see things as they really are, He truly does answer. It may take a while, but He takes those requests seriously. You said you were confirmed when you were 12 and you hope that you are saved. I am so glad you put it so bluntly, because I am delighted to be able to give you some very clear direction on this! Quick question: what were you confirmed IN? Were you confirmed that yes, indeed, you were a Presbyterian, the way we confirm flight reservations? Or were you confirmed in your faith because at some point before that, as you were growing up, you made a deliberate choice to put your faith in the Lord Jesus Christ? So my question to you is, was there a specific point at which you were born again? Being baptized as an infant doesn’t do it, because that’s not a decision that a disciple makes; it’s more of a statement of our parents’ intent to raise us in the ways of God. It’s possible to go along, learning the catechism questions and having a lot of religious head knowledge ABOUT God, without ever embracing Him as our personal Lord and Savior. Have you done that? If you have, YOU ARE SAVED FOREVER. If you haven’t, then you aren’t saved but you can be as soon as you choose to. I know several people who just weren’t sure of a specific time and place when they chose to put their trust in Christ, so they chose right then and there and said to God, “God, I am a sinner and I need you. Thank You for sending Jesus to die on the cross in my place, and then raising Him from the dead three days later. I believe Jesus is Your Son, and I trust Him to save me from my sins and take me to heaven when I die.” Then they KNEW they had trusted Christ and had passed over from death to life. I love the part in verse 13 that says, “you may KNOW that you have eternal life.” When someone showed that to me not long after I trusted Christ as a college sophomore, that was the point at which I knew for sure that I was saved–because the Bible said I could know! That was very cool for me, since I was raised just hoping that everything would be okay when I died but I couldn’t ever know. Now I KNOW!!! Let me know what you think about all this, OK? "I Can't Forgive God for Taking All Those People in the WTC! ""Is It a Sin For a Christian to be a Soldier in the Military?"